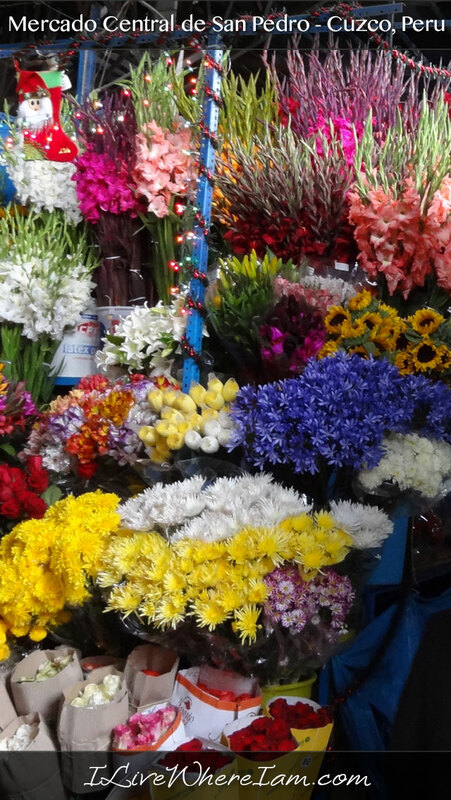 After following a dog into the covered outdoor market in Cuzco, Peru, I walked through the stands passing local food products, flowers and merchandise. 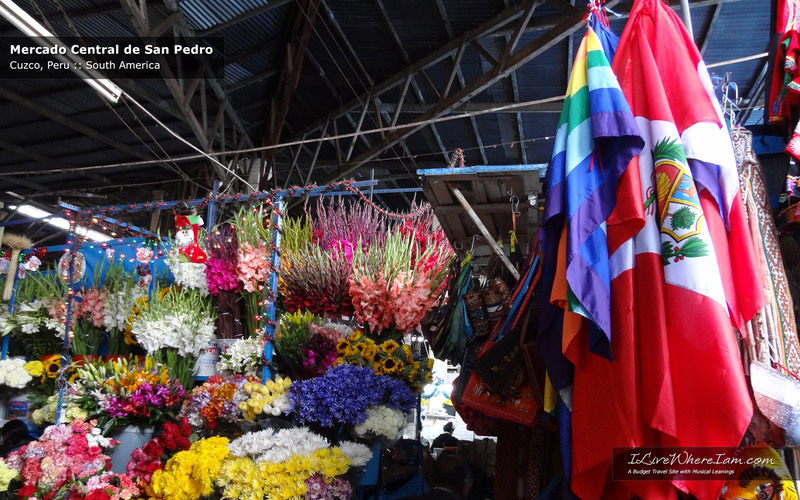 This photo captures a colorful flower stand with Peruvian flags for sale nearby. 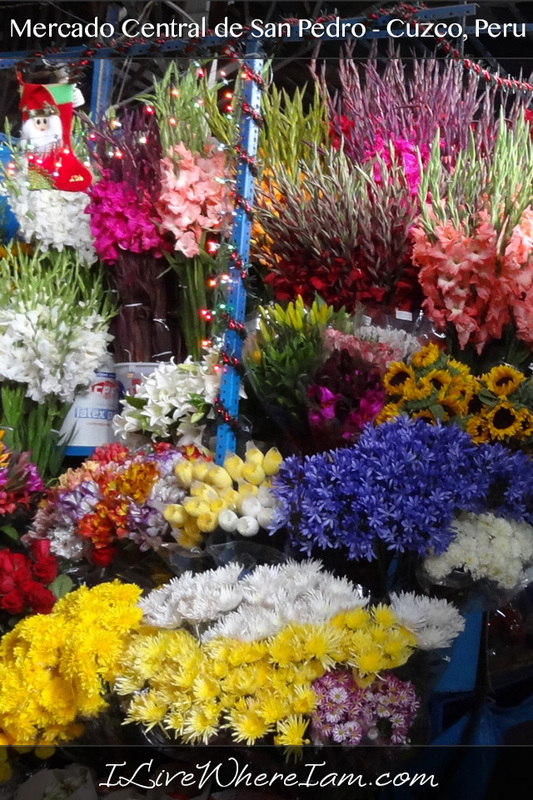 The market gave a feeling of how the local people live in Cuzco; where they shop for their food and merchandise. 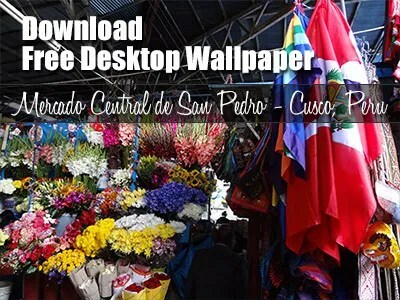 Download this free desktop wallpaper and enjoy it on your computer screen. I hope it inspires you to go on your journeys and set your goals in life! 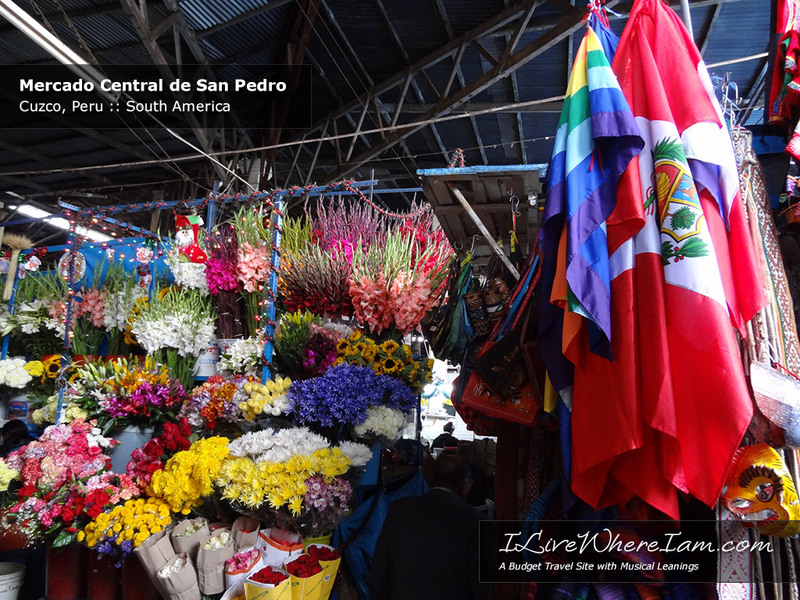 Where is Mercado Central de San Pedro?